Tootle's time is a place for us to share what is going on in our family and whats on our hearts and minds. Mom was born May 17, 1943 in Mexico, Missouri to Zellie and Everett Bowen. When she was about 3 years old, they moved to Washington State to look for better jobs and they stayed. She has two younger sisters, Shirley and Ellen. At the age of 16 she married our dad– and they had me the following year and then 6 years later Nancy came along. Over the years, she pursued many interests. When we were kids, she sewed some of our clothes, Halloween costumes and Barbie clothes among other things – she called herself a nervous sewer – she had to have her cigarettes and plenty of coffee while sewing. She enjoyed crafts and made many different holiday decorations. She also took cake decorating classes and decorated most of our birthday cakes over the years. Mom enjoyed the holidays, especially Christmas and she worked hard to make it a special time for us kids. She always went all out on the decorating and there were many years that she would be up till the wee hours on Christmas Eve trying to finish the last minute sewing on what would be our Barbie’s new wardrobe. One year, she had several of us sewing yarn hair on Raggedy Ann dolls trying to get them done so they could be Christmas gifts for other family members. 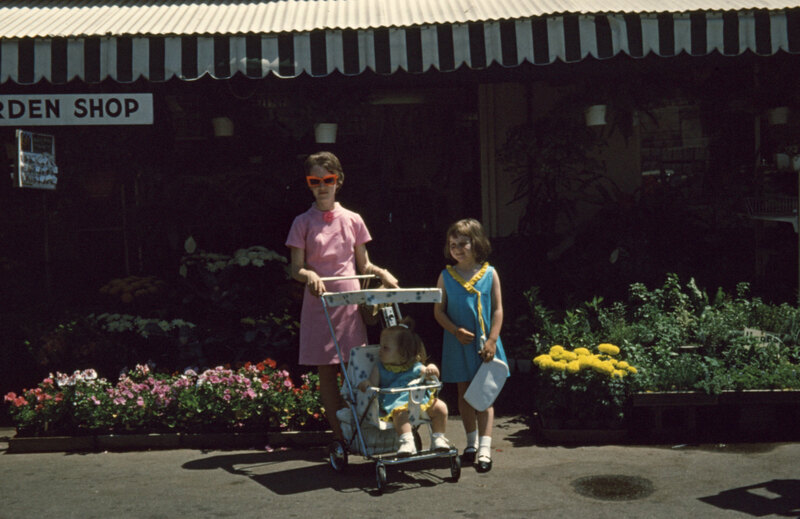 Vacations and sightseeing were something that mom loved. When we would travel to Arkansas to visit family, she would always plan something fun for us to do on the way such as Disneyland and Knotts Berry Farm, Six Flags Over Texas. When we didn’t take a long road trip, we went to the ocean – that was her most favorite place. She enjoyed outings to lots of different places: museums, gardens, the zoo, Leavenworth, visits to her sister’s house and many more. Nancy and I wonder how she planned such good vacations when we were kids, without the use of the internet. Mom went through various phases of collecting things such as Avon Doll Figurines, Stamps, Cactus (she had our living room window full of them and also hanging planters with them (ask Galen about that), African Violets and most recently Birdhouses. She would get so tickled when she was picking out Birthday cards that you would sometimes get two because she found more than one that she liked. She loved to play games such as Aggravation, Sorry and chicken foot dominoes, she got such a kick out of sending you back to start in Aggravation or Sorry. Mom was a stay at home mom for most of my growing up years and then worked at H & R block during tax season. Later she went back to school and got her GED and then a Bookkeeper certificate and then worked as a bookkeeper & receptionist at a couple of different senior housing facilities and lastly as a clerk in a convenience store in downtown Seattle. Like all of us, mom had ups and downs in her life and made good and bad choices – she was human – she was mom. All kinds of descriptions of The Tea Party are thrown about by people and the media. I decided to do a little investigation of my own. This book is not very thick but is very thorough. The author is a Law Professor and she wrote the book as a result of her own curiousity and research into the Tea Party. Her conclusions were that the Tea Party is really a movement and not a party at all. It has no centralized control and sprung up as groups of people concerned about the country and the way it was headed. "the Emphasis of the Tea Party is economic and constitutional, not social." pg 224. The three basic principles of the Tea Party are 1) Limited government; 2)US sovereignty; and 3)Constituional originalism. A lot of misinformation is out there about The Tea Party and I recommend this book as a great place to start in trying to understand who they are and what their goals are. I have finished out my study of The Great Depression and the Dust Bowl by reading The Grapes of Wrath. Somehow, I made it through my high school years without having read anything by John Steinbeck. Many of the other books that I read about the Great Depression era referred to this particular book and so I decided that I needed to read it. I found the story very intriguing and Steinbeck's writing masterful. He pulled me in and made me feel what the characters were feeling, unfortunately, the predominate feeling was despair. The story starts out in Oklahoma during the depression years and the folks there were suffering through the dust bowl - crops were bad and people were losing their farms. The Joad family was one of those who lost their farm and then couldn't pay rent because the crops had been so bad - so they packed up and headed for California like millions of others did. The family moves with the hope of finding work on the farms in California. Unfortunately, those who advertised employment - overadvertised and then it became too much labor, not enough work and terrible wages. On their journey toward California, they suffer two deaths of family members along with the family becoming splintered.The ending was particularly disturbing to me. It is a period of history often ignored but yet an important time. Lessons can be learned in how we ought to treat each other and the importance of family. The book made me extremely thankful that my family did not have to move because of the dust bowl. I believe this was an important book for me to read and I would recommend it to adults, I don't think I would ask children to read it. 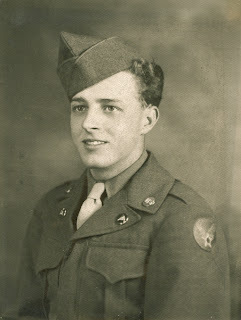 In researching my husband’s ancestry, I have been trying to get a feel for what life was like for his grandparents. They married in 1924 and lived on some different farms in South Dakota the first 20 or so years of their lives. In order to get a glimpse of what their lives might have been like, I have been reading books about the great depression and the dust bowl. Both of these events were major parts of America’s history and neither of which I learned much about during my years in public school. One of the books: A Secret Gift by Ted Gup is a story of happenings in depression era Canton, OH. The book is somewhat of a biography of the author’s grandfather, Sam Stone, and includes many of the citizens of depression era Canton. The story starts off with Mr. Gup receiving an old leather suitcase from his mother, the suitcase contains some of his grandfather’s papers. Mr. Gup’s grandfather and grandmother are deceased at the time of his writing the book. Among the papers in the case, he finds a pouch containing a bunch of old letters and a bankbook. Upon further investigation, the author discovers that near Christmas 1933 his grandfather placed an ad in the local newspaper under an assumed name stating that he wanted to help some 75 families during the holidays. He asked that the write to him and explain their circumstances and he would choose 75 or so families to help. Realizing that people were proud and didn’t want to take a handout but also that many people were suffering at this time from lack of work and thus lack of money for food and other necessities, he also promised that he would not reveal the names of those that had written to him for help. It turns out that the author is an investigative reporter who has the skills to investigate the letters and stories of the folks involved. During the course of his investigation he also learns much about his grandfather’s secret past. The author also contacts descendants of the folks who wrote the letters and learns what became of them and where their families ended up. The gift that Mr. Stone gave the writers was only $5, equivalent to about $100 today but more than that he gave them a way to express their fears and frustrations – to relieve themselves of an emotional burden anonymously and people were very encouraged to find that someone cared. It brought hope to a portion of Canton, OH. The contents of the letters sheds light on the fears of the time and helped to me to better understand the people living at that time. The book is well written and reads somewhat like a mystery but the fun part is that the people and events are real. I found this book by accident by searching Great Depression on our library website, I am truly glad that I found it and highly recommend it for anyone interested in that time period. Last year my youngest son was required to read a certain number of pages in a semester for his English 10 class and also to do a book report on each book read to meet the goal. He is interested in the time period of WWII and so he chose this book. I think the title intrigued him and it also had over 500 pages, fewer books means fewer book reports written. Anyway, he finished the book but said he thought it was boring - his complaining piqued my curiousity and thus I just finished reading it. In the Garden of Beasts is a biography of William E. Dodd, the first American Ambassador to Hitler's Germany. It opens in June 1933 and then follows the career of Mr. Dodd as he becomes the Ambassador to Germany and works hard to extend diplomacy to a group of lunatics. He starts out in an open minded manner and ends up seeing the Nazi's for who they really are. Dodd tries to warn the United States of impending disaster but is largely ignored. The book reads like a novel, with the twist that all the characters are very real. The author did a wonderful job of putting flesh on the bones of Dodd and his family. I found the book interesting and recommend it for adult readers, Dodd's daughter is one of the main characters focused on and unfortunately, she led a very promiscuous life. While the descriptions are not excplicit, the author does discuss her relationships and lifestyle at length. One unexpected result of reading this book was that it humanized the Ambassador, Christopher Stevens, that was recently murdered in Lybia. Prior to reading the book, I tended to just think of these people as names in the news - it was hard for me to relate to them and their jobs. A New Season: I'm Back, I think?! We are in yet another season of our lives and in this season I am, once again, going to give this blog another go. Much has changed in our family over the past two years. We are adjusting to the changes and look forward to where our family will be in the future. Last summer we were fortunate to be able to travel back east to visit our older children that live out of state, first we flew to Nashville and visited with our daughter and extended family there and then drove to Florida to visit our son and his wife. We had a wonderful visit with all of them. It was our first trip to Florida and we really enjoyed the warm atlantic waters and look forward to going again in the future. Two years ago, as our youngest was entering high school, we made some changes in our schooling. After much prayer and research, we began participating in a parent partnership at one of the local school districts. Although not perfect, overall, it has been a huge blessing to our family. We received help with math and english and our third child was able to take an art class that was a big blessing. While working within the public school system has its challenges, it has provided needed help for our family. We started out with part time participation and have ended up, with our youngest son, moving to full time. This year he is attending a welding program at the skills center that provides technical training for high schoolers in many local districts. Along with the welding program, he still takes math, english and current world issues at the parent partnership. He is currently a junior in high school and will probably finish out his high school career in the running start (dual credit) program next year at the local community college. Our Third son graduated in June and will be starting his first full time job October 1 at a local company that makes aircraft parts for Boeing. I no longer plan curriculum, lesson plans or correct assignments, all of which was a huge adjustment for me. I now spend that time driving with our youngest to his classes and spend quite a bit of time away from home with that. Once he gets his license, then I will have more free time to pursue other things such as my own self education and family history research. In an effort to clarify the rolls of the executive and legislative branches of government in the use of military force, Congress passed the War Powers Resolution of 1973 over the veto of President Nixon. The resolution was instituted in an effort to provide a check and balance between the two branches. It lays out rules by which the President, as commander-in-chief, may involve United States troops in military conflicts without a declaration of war and is supposed to hold the President in check from entering wars/conflicts that the people of the United State do not support. The War Powers Resolution was born out of the Vietnam Conflict. There have been many questions as to the constitutionality of the law and many presidents have pretty much ignored it. It has been reported that President Obama has said that it does not apply to the Libyan conflict. Why do we have such and Act that is not enforced? And if it does not apply, where is the check and balance for the executive branch of our government. Today, more than usual, I have been reflecting on the sacrifice that those in the military make on behalf of our freedom. I am truly thankful that so many have been willing to serve. Some have paid the ultimate price in giving their lives for our freedom. I hope that we will not let our freedom slip away and thus cause their sacrifices be in vain. Those in the military swear to serve and defend our constitution but how many of us even know what that precious document says? Are we doing our part to protect it? These are questions I have been asking myself in recent months. The more I learn about this document, the more concerned I grow for our country. Please, please, make yourself aware of what is contained in the constitution before we lose the freedoms that our founding fathers and our precious brothers and sisters in the military sacrificed so much for. In our family we have had many that have served our country and I wanted to take this time to honor a few of them. 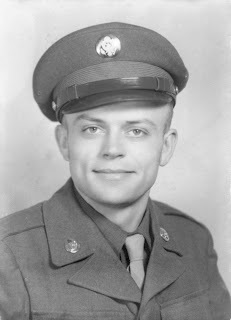 My Great Uncle, Jerald Smith. My husbands great uncle, Daniel Fuhrer, served and gave his life during WWII. 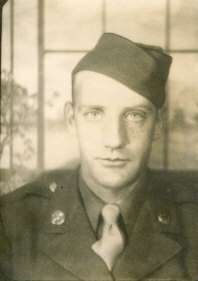 My Grandfather, Clarence Raymond Smith - Served just prior to WWII. 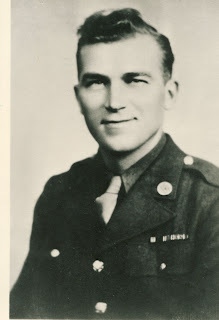 My Grandfather, Everett Bowen, served during WWII in the South Pacific. My father in-law, Henry Jacob Liebelt, served during the Korean Conflict. 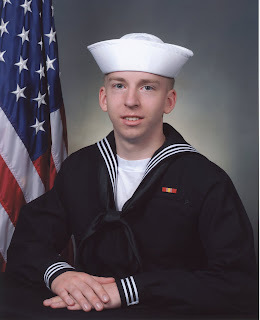 Our Son, Jake, currently serving in the US Navy.